Place the apple cider in a small saucepan over medium heat and boil it until it is reduced to 1/3 cup. This should take approximately 35-45 minutes. While the apple cider is reducing, place the butter and cream in another saucepan and heat to boiling. As soon as it boils, remove it from the heat and add the cinnamon sticks. Cover and set aside for now. Once the cider is reduced to 1/3 cup, remove it from the heat. Whisk it into the cream mixture. In a medium-large saucepan, combine the sugar, salt, corn syrup, and water over medium heat. Stir until the sugar dissolves and insert a candy thermometer. 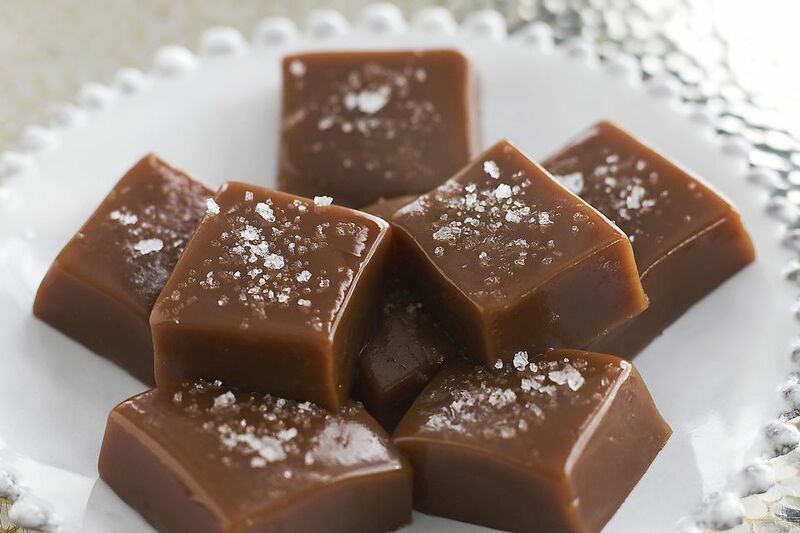 Cook the candy until it is a medium brown color and registers about 330-340 degrees on the thermometer. Watch it carefully toward the end, as sugar burns very quickly at high temperature. Once the sugar is the proper color and temperature, remove the cinnamon sticks from the cream and cider mixture. Slowly and carefully whisk the cream into the sugar, standing back a good distance because the candy will steam and splatter. Whisk until all of the cream is added.